OMG, what a crazy statement from Jackson. 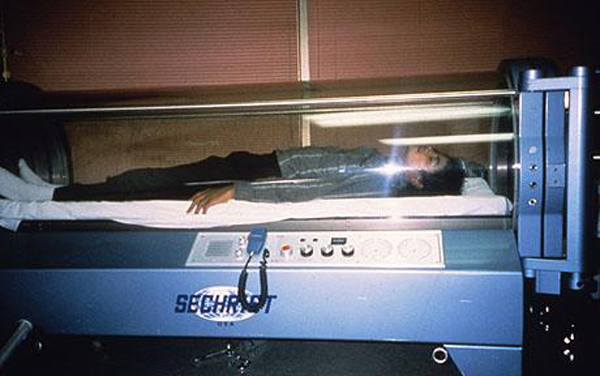 Jackson saw the Hyperbaric Chamber at Brotman Memorial Hospital after he had burned his scalp filming a Pepsi commercial and was told of the benefits of the therapy and how it can possibly prolong life. 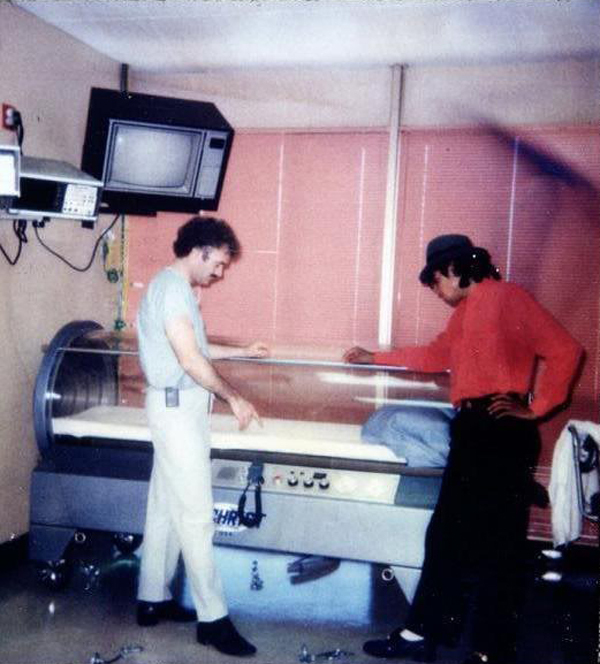 MJ initially wanted to purchase the machine for himself for $200,000 but was talked out of it by his managers. 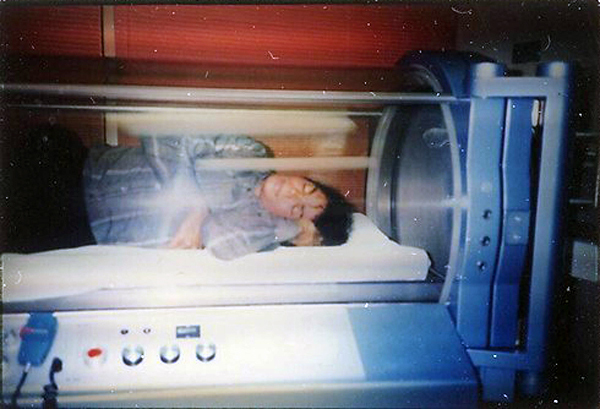 When the press found out he was interested in purchasing the chamber, Jackson and his managers decided to take some photos of him in the chamber and plant the story of him sleeping in it everyday in order to get Jackson in the headlines and promote the release of the Captain EO film in 1986. Here’s an earlier photo of Jackson checking out the chamber. At the end of the day why was this such a huge story??? I mean who cares if a person wants to sleep in an Oxygen Chamber?? ?